A Bridge to the Other Side..
My memory doesn't work as well these days. It's not due to aging, I'm only in my 40's! However, it is due to my unintentional safety mechanism- the skilled and talented ability of forgetting. I learned early that to survive and to carry on, I had to push my reality aside. There was no time for what I should have been allowed to feel. If I wanted to be included in the family, I played the game. And to stay safe, I conveniently began losing memories, good and bad. It just was what it was. But as an adult, now safe, I've realized I've done this same thing. When times were rough, I would forget. Raising a blended family brought challenges I wasn't prepared for. Having bipolar in this scenario was like living in a fun house and never knowing what was around the next corner. There came a point where I made the decision, very personal decision, that I needed to find alternative ways to help myself. I knew I was one bipolar mess! 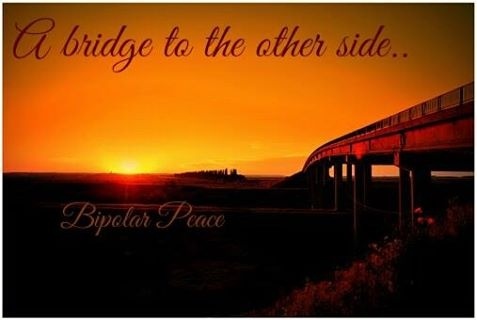 I had to find the bridge to close the gap between my bipolar world and the rest of my world. I had to remember that I had what I needed to overcome. I had to remember to not live in the realm of risky behavior, or the depressed world where I barely functioned. I made a dedicated decision that I was going to live, and live well. I began taking prayer a whole lot more serious. I also began engaging in the things I loved when bipolar wasn't effecting me so terribly. 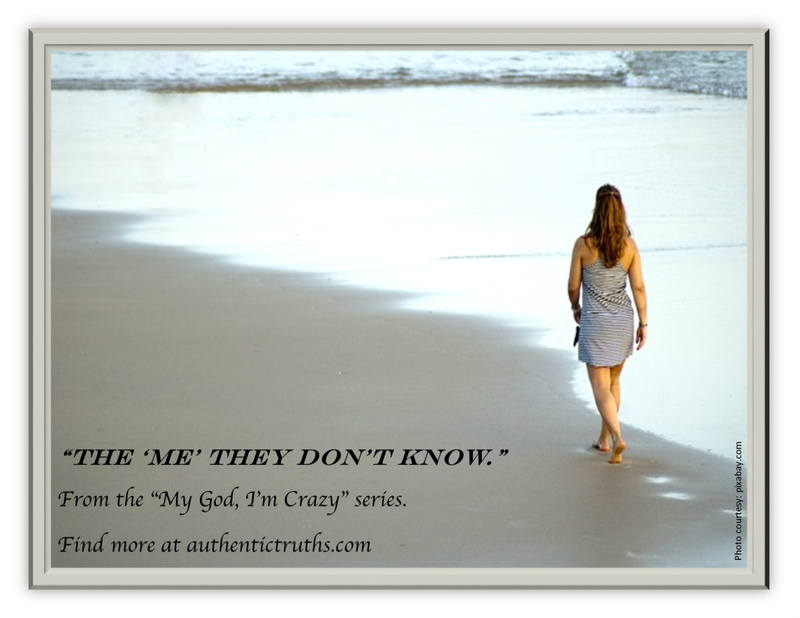 I began to heal a marriage that had truly broken and separated. I wanted to reinvent the Lisa-mom. I wanted to be the mom my kids deserved! What I found through this intentional journey was that I wasn't building a bridge to close the gap, but I was building a bridge to the other side. I had normalcy once again! I had found a peace I never knew existed. A peace I truly had never accepted or believed in until I said enough. I chose more for myself than mental hospitals, mental free falls, and mental distress! Of course, there are no cures for bipolar, but don't ever believe you have to be stuck on the side of a canyon that leaves you feeling hopeless and helpless. Nope, begin to build your bridge! I’ve realized over the last couple of days that I’ve struggled more than I knew over the last few months. I’ve been forgetful and probably more depressed than I cared to admit. As I begin to pick back up and find my balance, once again, I wonder how noticeable this was to those around me. Hiding what was truly going on has always been easy for me. As a younger person, I’m not real sure people in my circle really paid attention. I could put a smile on my face and be bright and cheery. I kept the struggles hidden behind closed doors, alone. As a mother, I was too busy within depression, until that dreaded day when the level of depression I experienced couldn’t be hidden. And then..for the first time ever, I just let myself be. If I cried, I cried. If I didn’t socialize, I didn’t socialize. My church family was a wonderful support. I did the best I could, and kept going. Over the last few years, I’ve retreated into my internal safe zone. I become quiet, my thoughts seem to run rampant between the past and the future. Fear creeps in, so I stay in the Word. My Bible, audio or print, is my life raft. As it should be in desperate times of darkness. While I’ve managed the struggle, what I would consider valiantly, I know things could be better. I’m not one for medication, but these days, I wonder if it may help. I believe we all make our choice in this matter, and for me, I’ve coped using different techniques and methods. It isn’t always pretty, but for well over 10 years now, I’ve made it. And today.. well, what now. You see I’m not in the deepest pits of depression, in fact, I can feel a little bit of manic creeping in. Just yesterday, as I spat words out at a hundred miles per hour, I began to get worried. My mania frightens me far more than my depression. It has a way of shutting down my good senses and I have a way of giving way to that chemical imbalance. So I have to be careful. Taking great care to know myself, in every moment. He is here with me, right now. As I play a game of tug of war in my mind, he’s there to remind me I’m not alone, I’m not some incapable person. He has lifted me in times of great distress, just as he did the great story tellers of the Bible. Just as he did the fallen, the lost, the confused, the angry. He is able to lift us all only when we honestly choose to surrender and allow him to do so. 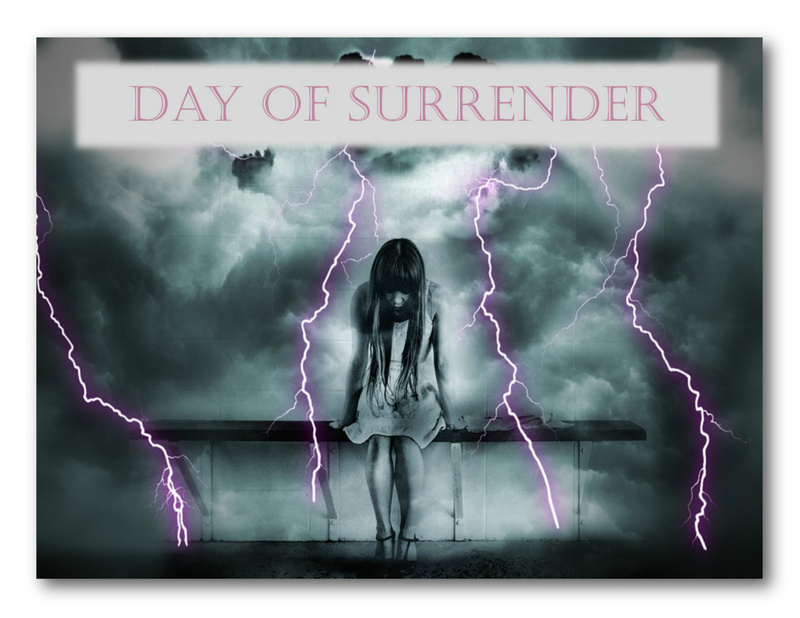 Today, I choose surrender. As I have many times, I lay it down, and I let it go. The 'Me' They Don't Know. I’ve run out of steam. The last month has emptied every part of my being. I’ve tried to carry on as normal as I could, but it is becoming increasingly more difficult to hide behind a sweet smile and pretend “I can do this”. What amazes me more than anything is the fact that those who contribute to the depression, have no clue that they have instigated my drastic mental free fall. This time something was different. That I have to refer to ‘this time’, is depressing in itself. For those of us who live with a mental disorder, that’s the way it is. There will always be a ‘this time’, it will not go away, unfortunately, there is no cure. And.. my ‘this time’ is what I write about today. I’ve heard of anxiety. I’ve even dealt with it once when they mistreated me with Prozac. I knew about heart races that knocked me off my feet and sudden sweats. That was the extent of my past anxiety. This time, it was escalated. I was wrapped in fear, and that fear kept me up day and night. My mind refused to shut off, my entire body shook. I couldn’t eat, then I ate too much. Some days I just sat in one place for hours, staring blankly at a flashing T.V screen. I withdrew into something beyond myself, it was more like nothingness.. I still went to work, though the days were rough, and I found myself apologizing on more than one occasion. I tried to keep the meals flowing for the family, and I tried with all my might to stay checked in to reality, but fear, I never actually arrived. As the last month went on, I began talking myself back in to existence. And, I have to praise myself, as I waivered in and out of a depressive state, ‘this time’ the suicidal thoughts never came to pass. Score for me! Sleep has returned, though now I may be indulging a little too much. I am still lacking motivation, but I’m trying. Trying is all I can do. People don’t know the real me. Even those who I try to talk to, don’t know the real me. I’m at a crossroads of sorts. For over a year, I’ve tried to release so much and get back to what I once ‘thought’ was the real me, turns out, or at least appears, that girl is gone. THIS is the real me. 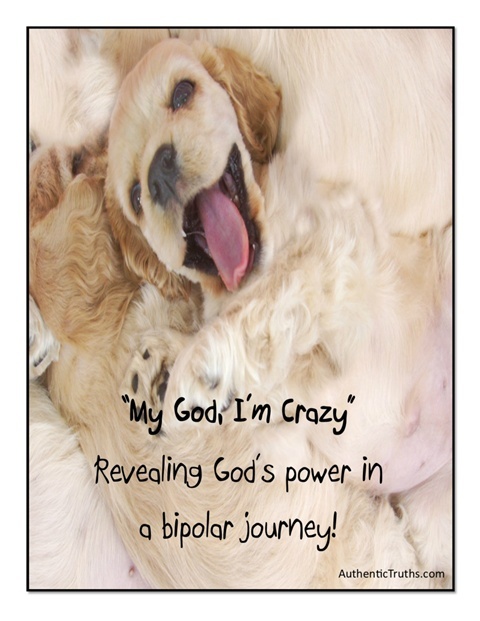 I have bipolar disorder. I am chaos at best, and a wrecking ball of ups and downs at my worst. No one knows what those ups look like, and they are without a shadow of a doubt, my biggest fear. People think they know me when I’m down, but they don’t. I’ve never fully revealed the depths of depression I get to. Maybe, one day, I will share that with my world. For now, I'm just trying to maintain a sanity somewhere in the range of above the lowest and below the highest. Today, I carry on. What was holding me hostage on the inside has been released. I can slowly begin the process of the climb. I wish it wasn’t this way, I wish I was different. I stand on one belief, that who I am right now, in this moment, is still, and will always be, a deeply loved child of God above. He who is in me! How can I put into words what October brings to my life. A strange phenomena takes place, as everything inside of me begins the systematic process of change. As if time itself has an internal effect on me. It almost feels like a shutdown of sorts, and one I’m not too excited about. With this change, comes the knowledge of another looming season of dread. This year, I choose to systematically make some changes of my own. I choose to live. I choose to live with joy. I choose to take time to pray, to sing, to share, to love. I know what happens to this bipolar mind around this time of the year, but I refuse to accept the ‘same ole stuff’. I’m not interested in walking the dark road of depression again this year. And while the circumstances have already begun to infiltrate my life, circumstances all around me, I choose to trust God. Every year, ‘things’ just start to happen. September rolls in, and so does the stress. Which is why, I believe, by the time October hits, I’m exhausted. In the past, I dropped down and sat in that position of defeat until the winter came to an end. This year, you won’t see me dropping. This year, I am committing myself to not only staying above the waters, but running victoriously along the beach! I commit to focus on my God, who is for me, rather than all that is against. I commit to enjoying life and exploring my personal strengths, rather than submit to my weaknesses. I promise myself to not take on everyone else’s problems, to not make them my own. I promise myself to pray, for me and for the many out there in need. I can’t have another season like all those before. I can’t allow the world to beat down on me when I’m meant for so much more in Christ! Life tries to disarm us through trials, but it is our choice to remain clothed in Jesus, to put on the armor that can’t be removed. It’s up to us to meet the challenge and to believe in an Almighty God, and to know, without a doubt, He who is in me is stronger than he who is in the world!